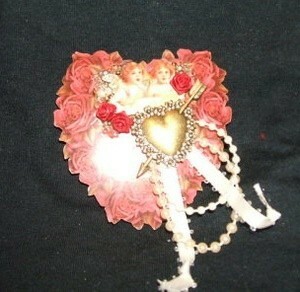 A homemade heart shaped pin makes a thoughtful gift that can be worn all year and especially on Valentine's Day. 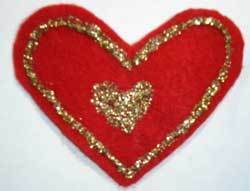 This is a guide about heart shaped pin crafts. Share on ThriftyFunCheck out these Heart Shaped Pin Crafts shared by the ThriftyFun community! Have something to add? Please share! 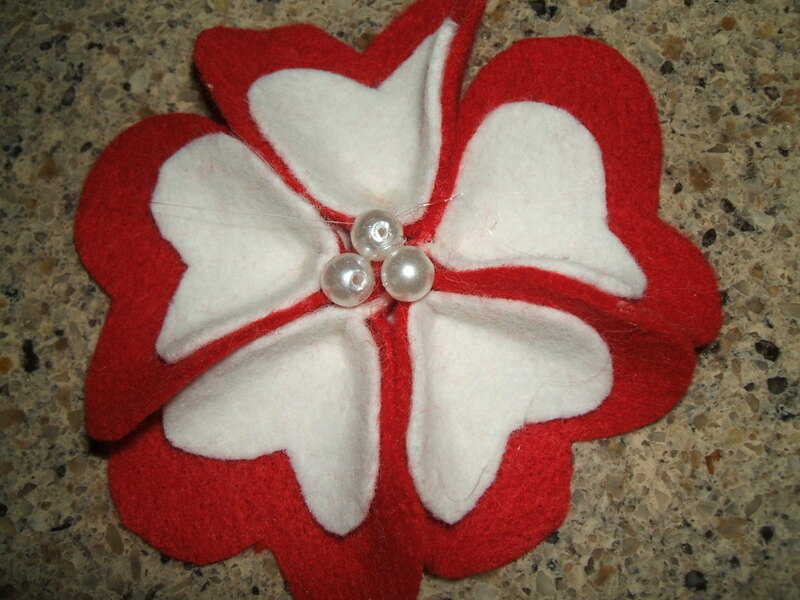 This will delight everyone who loves hearts, who is a "Red Hat Lady", or just the perfect craft for Valentine's Day! Create these easy Valentine pins for family and friends. 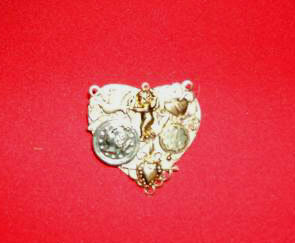 This is a great way to use broken jewelry, earrings that you now only have one of, charms, beads, buttons, etc. They make great Valentine gifts too. Show your passion, wear your heart on your sleeve. I made these as Valentines and everyone loved them. 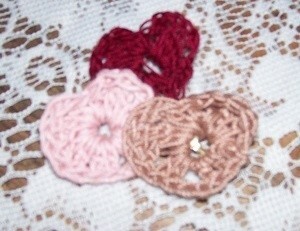 This quick and easy to make crochet heart shaped pattern is perfect for using as a pin or magnet. 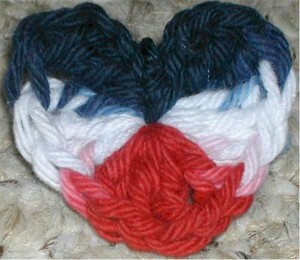 This page contains a red, white, and blue crocheted heart pin pattern. This is a guide about making a 'Love of Sewing' pin. 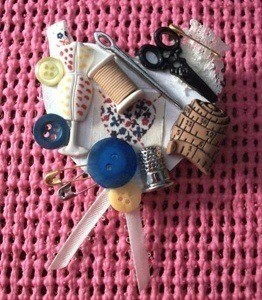 This adorable heart shaped pin is the perfect gift for someone who loves to sew. Made with miniature sewing themed findings, it's easy to make and is customizable. These cute heart shaped, felt petal, flower pins can be worn or given for Valentine's Day or anytime. They will brighten up any outfit, hat, or purse. This is a guide about making a heart-shaped petal flower pin. 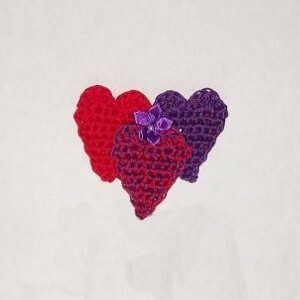 This is a guide about making a crocheted heart angel. 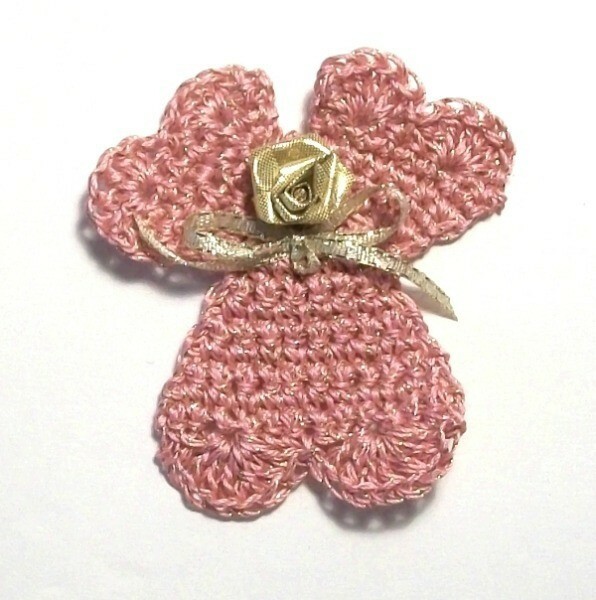 Crocheted hearts in varying sizes can be joined to form a cute angel motif.